If you happen to be a frequent shopper at Walmart, and more or less know everything that America’s superstore carries by heart, then you would notice that from next month onwards, there is a brand new version of the Sony Walkman W Series. I am referring to the Meb Keflezighi edition of this particular Walkman family, as it was developed in conjunction with Meb Keflezighi’s 4th place finish in the recently concluded 2012 Olympic marathon. 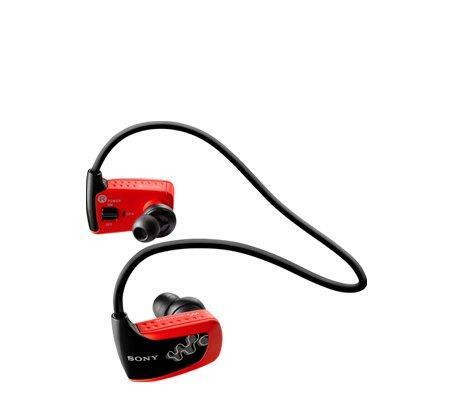 What’s so special about the Meb Keflezighi edition Sony Walkman W Series? Read on to find out! Meb Keflezighi is no doubt an American distance running hero, although he did not manage to pick up a medal at this year’s Olympics, he did win silver at the 2004 Athens Olympics and ended up tops at the 2009 New York City Marathon. The Meb Keflezighi Edition Walkman W Series reflects his spirit, where it was also specially developed in order to invigorate his marathon training program in addition to catering for the regimens of runners as well as health and fitness enthusiasts worldwide. This special edition of the Walkman W Series is a wire-free digital music player that was especially designed to make using it as convenient and comfortable as possible for the user, whether one is pounding the pavement, or hitting the treadmill at the local gym. It boasts of water-resistant technology that makes sure the buckets of sweat it encounters during your exercise session as well as intense weather conditions are shrugged off. This digital music player comes with 2GB of storage space, and when you average that out, we are looking at around 470 songs, in addition to its availability in a special-edition orange model. Similar to the rest of the Walkman W Series, the Meb Keflezighi edition will be accompanied by Content Transfer software that enables users to drag and drop music files from iTunes for Windows, Windows Media Player or Windows Explorer (DRM free content only) in a snap. You can also charge it quickly, where three minutes of charge time translates to an hour of playback, while a full battery life delivers up to 8 hours of non-stop music. The Meb Keflezighi Edition Walkman W Series will retail for $69.99 a pop if you are interested.